Unity Insurance and Investment Services, Inc., a subsidiary of Unity Bank North, has been serving the insurance needs of the residents of Minnesota for over 30 years and has been serving North Dakota for over 10 years. We are your full service insurance agency. We offer a wide range of Property and Casualty Insurance (P&C) such as auto, home, farm, recreational vehicles, commercial property, commercial general liability, and bonds, just to name a few. We specialize in Life and Health Insurance (L&H) such as term life, whole life, short-term health, and long-term health. We employ a friendly and knowledgeable staff to guide you with all of your insurance and investment needs. 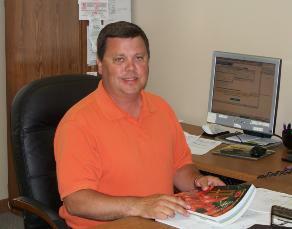 Co-Manager/Agent Brian Berdahl has almost 25 years experience working with insurance. He owned and operated his own agency for several years before joining the Unity Insurance and Investments team. He has extensive knowledge in all lines of insurance and is our Claims Specialist. Brian and his wife, Coreen, reside in Red Lake Falls and have three children. 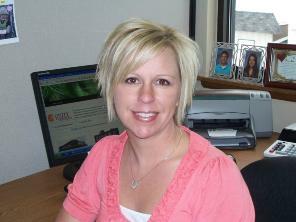 Co-Manager/Agent Kristie Reynolds has been with Unity Insurance and Investments for over 4 years. She's at our Red Lake Falls location Monday, Tuesday, Thursday, and Friday. She is at our Mentor office on Wednesdays where she is able to service Maple Lake and surrounding communities. Kristie and her husband, Kurt, reside in Thief River Falls and have four children.